Hi everyone! I hope you had a good Thanksgiving holiday (or a good weekend if you're not in the US.) My brother and sister-in-law and their kids came to visit us on Friday, and we had a Thanksgiving ham dinner which was pretty low key and also yummy. (Turns out if you wait until the day before Thanksgiving, it might be a bit of a challenge to find a turkey or even a turkey breast.) 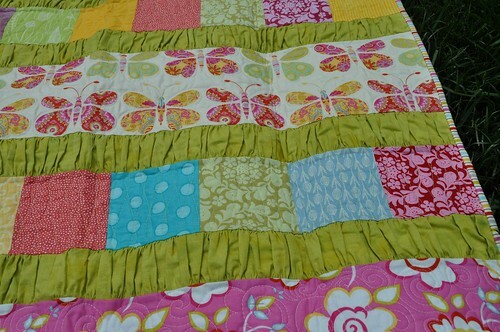 We made a charity quilt top that I will get quilted soon and I'll show here in the next couple days. And we watched movies and went to Snowflake Lane which was so much fun. They had Christmas music, high school drummers and tambourine players in festive costumes, and fake snow which totally looked real. The internet can't stop talking about cyber Monday today, and this morning I saw news stories about how the big places' warehouses work (yep, they are super busy today) and the fact that people like to shop online at work because the internet's faster there. I thought I'd share a few suggestions of handmade gifts you can buy if you want something a little more unique or personalized or if you just like handmade better. *Aunt June--Lauren is an amazing artist who has cool things in her shop, like a calendar tea towel, American Sign Language tea towels, and cute note cards. *Candied Fabrics--Candy has a great assortment of handmade goods in her shop, including ornament houses, headbands, and iPad sleeves. She is also selling her DVD, Dyeing to Stitch, and a pattern for a convertible messenger bag. *Blue is Bleu--Audrie sells handmade quilts and other items at extremely reasonable prices, and has quilt patterns in her shop as well. *Amy's Creative Side--If you'd like to make a quilt, Amy has patterns for sale. Amy's also the author of Modern Basics, and her 2nd book is coming soon! 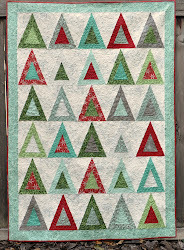 *Piece N Quilt--If you are making anything quilted for holiday gifts this year, Natalia's book Beginner's Guide to Free-Motion Quilting can help you figure out how to quilt it. This book is also great for more experienced free-motion quilters. *Tula Pink--Tula is offering free gifts every day this week, and today she has an adorable VW Bus pillow pattern. 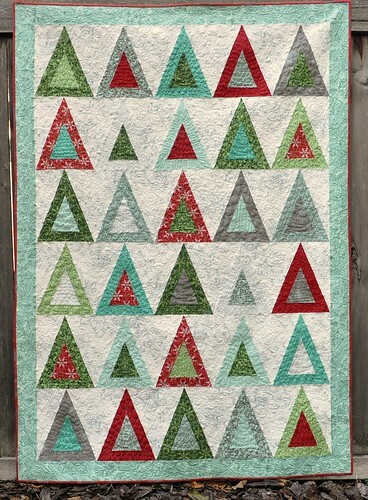 *Sew Inspired Pattern Shop--And finally, my quilt patterns are on sale this week. If you've been thinking about making either the Evergreen State Quilt or the Ruffle Crush quilt, now's a good time to get the pattern! My friend Candy also wrote up a gorgeous gift list over at her blog; check it out! And if anyone else would like to write up a handmade gift list, feel free to link up in the comments! ohh wow, so many internet goodies. I am off to find me a Ruffle crush pattern.